Through the years, they’ve been used as gags and props in some of the funniest slapstick skits every created. You know, Johnny Carson kept one in his desk…because, lets face I, they’re funny. Or is it that you make them funny? We believe it’s a little bit of both. 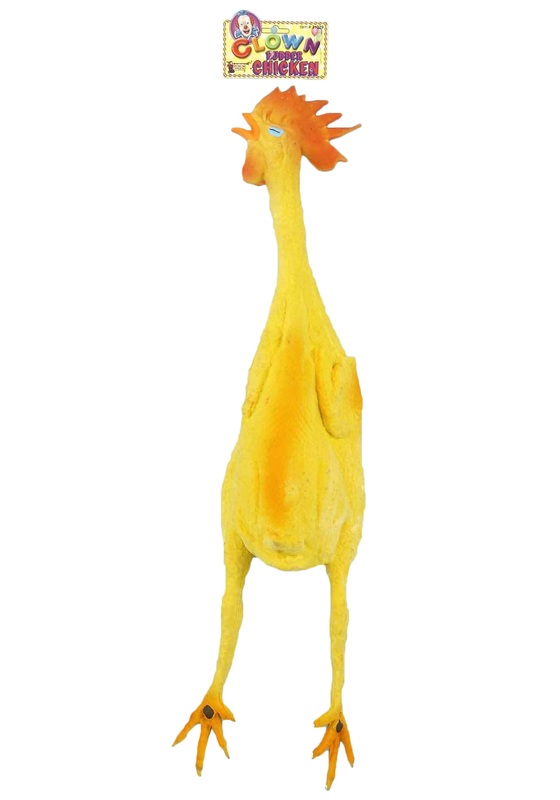 If you’re the funny man or jokester of your circle, you should go the distance and add a Rubber Chicken Prop to your repertoire. The funny thing about a rubber chicken is that it’s a totally random object…something that you would least expect to see anywhere. When someone shows up with one, the hilarity ensues. Just watch out, they can be used to whack you with—yes, they’ve been used as a humorous weapon countless times. They’ve also been juggled, dressed up and left in places to surprise others. Why not leave it on your car dashboard after you’ve parked your car at the grocery store. It will surely make people think. We dare you to find 101 ways to express your sense of humor with it. Just be aware of the Golden Rule…yes, the Rubber Chicken can be used against you, so play nice!